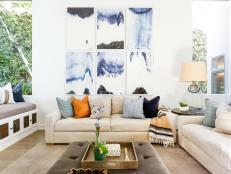 Is your yoga mat sitting in your closet collecting dust? Feel less guilty about skipping yoga class by giving your mat new purpose. 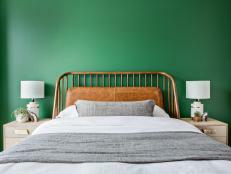 We share 10 ways they're useful around the house. 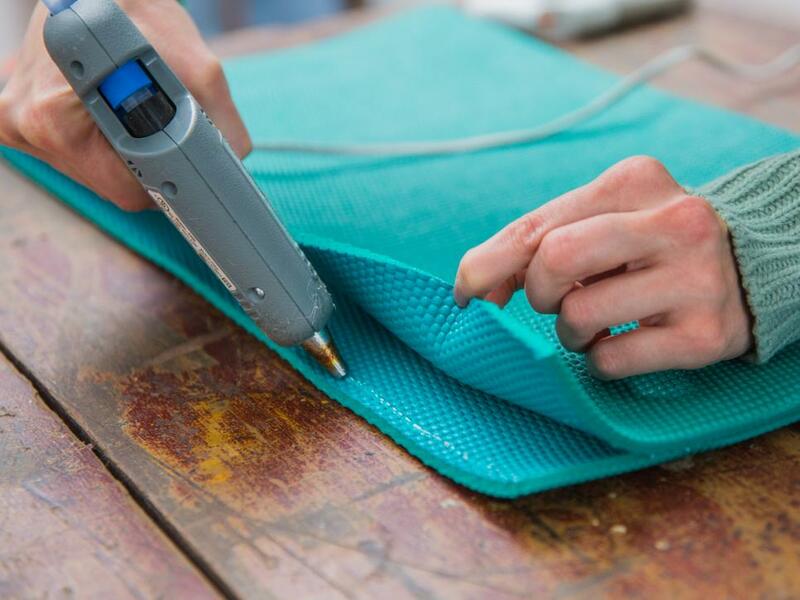 Before you do any of these projects, sanitize your mat properly. Place in the washer on delicate cycle with no detergent. Toss in the dryer on medium heat. 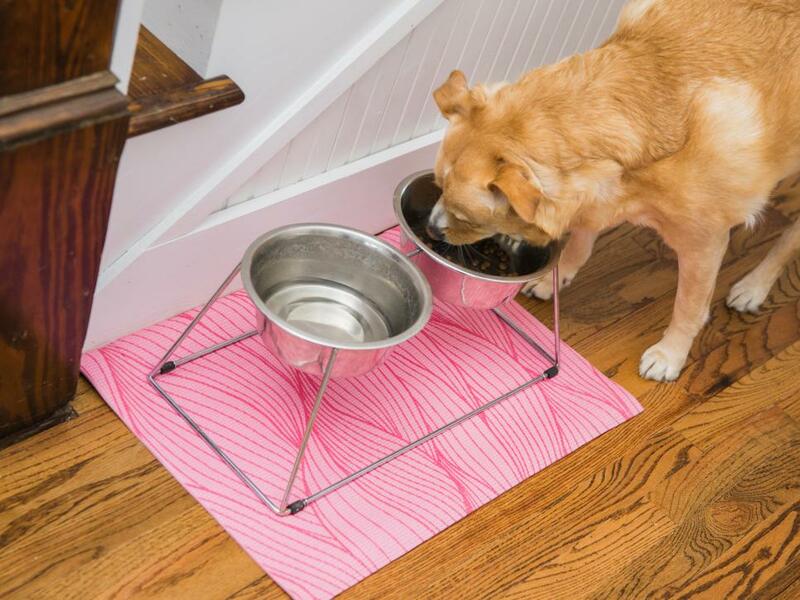 To keep water and pet food off your floor and from spreading around your house, cut your yoga mat to the desired size and place underneath your pet's bowls. Your coffee-run addiction means several wasted cardboard sleeves. Use a reusable one with a nice grip, instead (No more coffee cup slips and spills). Believe it or not, this sleeve is made from a yoga mat and fits nicely in your purse, car or laptop case. Click to the next slide to learn how to make it. 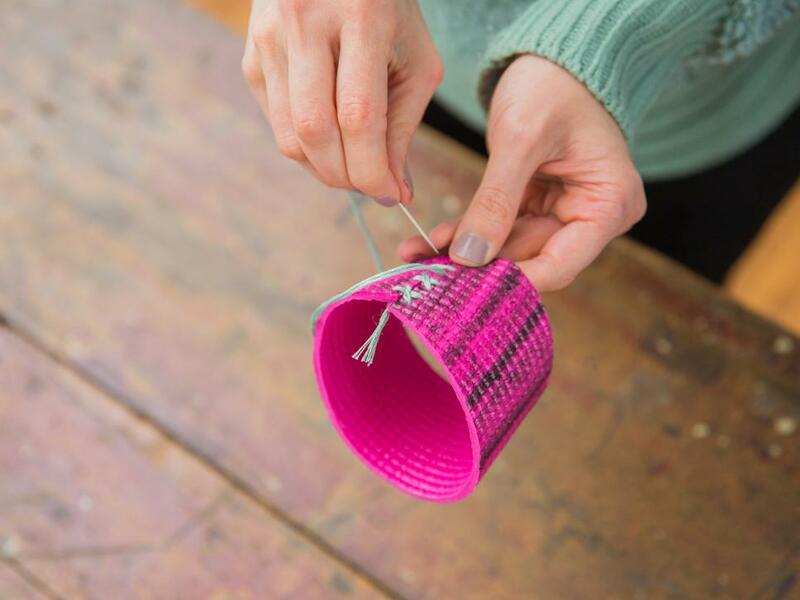 Use a cardboard coffee sleeve as a template, and trace the shape onto the mat with a marker. Cut out the shape with sharp scissors. Cross-stitch the ends together with an upholstery needle and embroidery floss (a thinner mat works best for this project). This one's real simple. 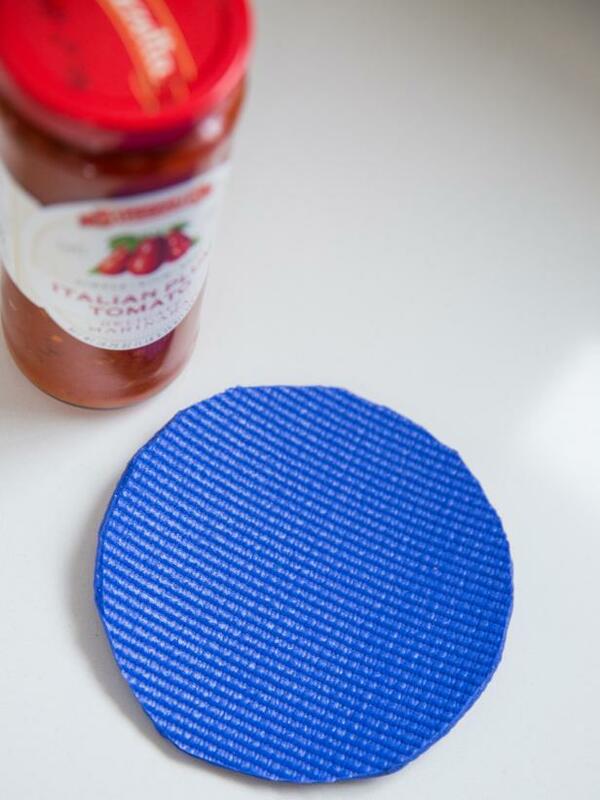 Cut out a circle from your yoga mat, and get to that jar of sauce quicker! 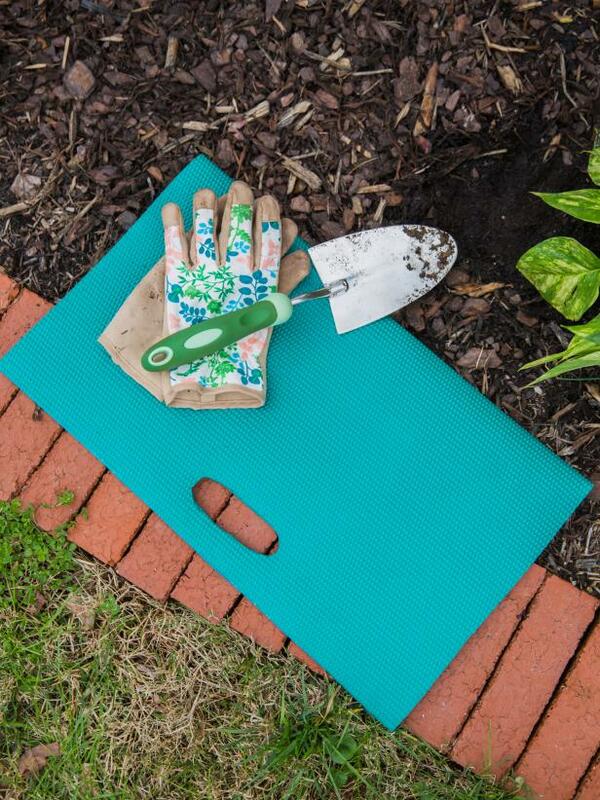 Protect your knees while gardening. Click to the next slide to learn how to make this. Size your mat large enough for your knees to fit comfortably on top, and double that size. Cut out, and apply glue to the center. Fold over and glue the edges. Press down the edges (or place a heavy object on top) until the glue adheres. 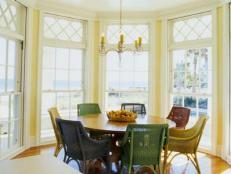 Use a rotary cutter, exacto knife or sharp scissors to cut a handle out of the top center of the mat. Where has the cork gone? 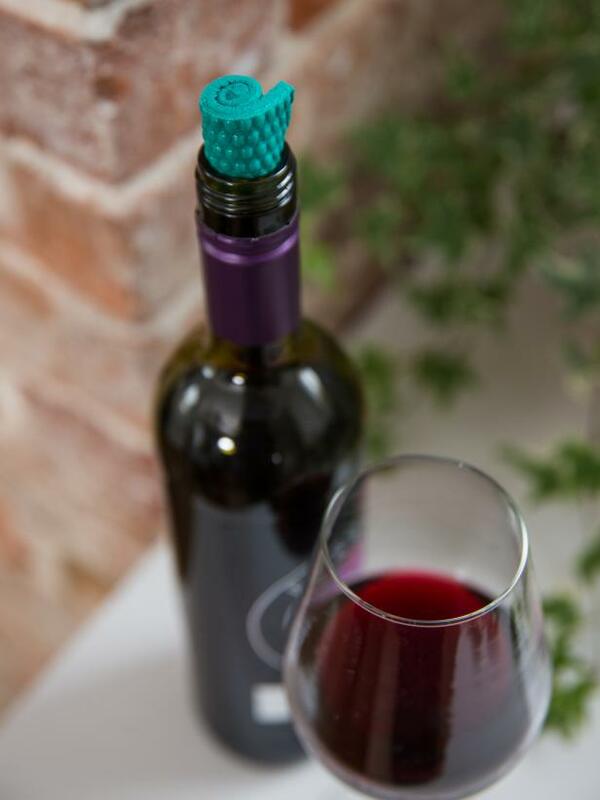 To replace the missing cork, cut a tiny strip from your yoga mat, and roll and twist into the bottle opening. 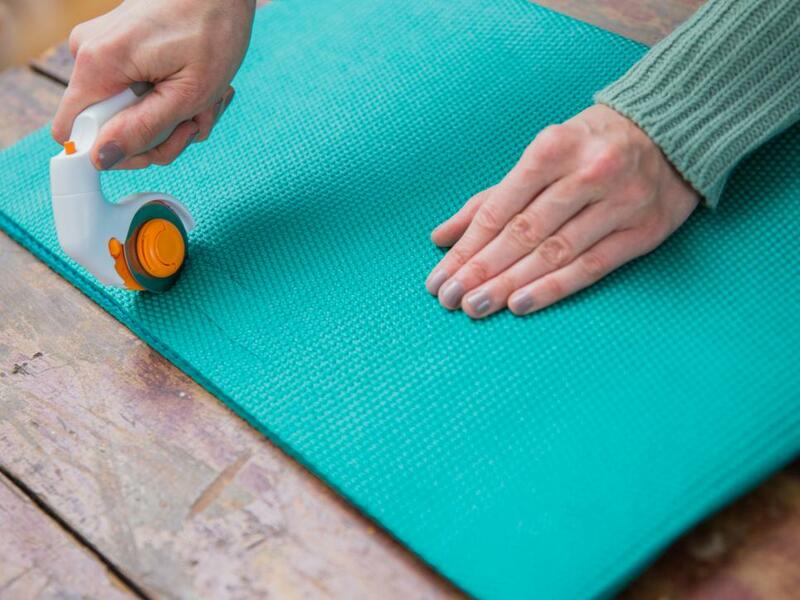 The yoga mat properly seals the bottle, and bonus — makes a cool stopper. 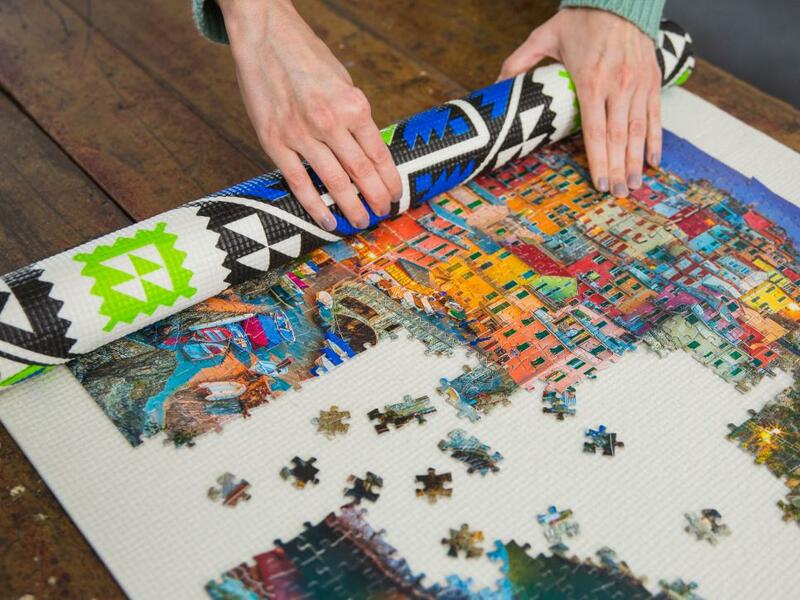 A puzzle mat allows you to work on a puzzle, store it and come back to finish it later. They are expensive, but your yoga mat is a great alternative. Put your puzzle together in the center of your mat. When you're ready to store it, roll it up tightly and carefully, and keep it secure with the strap that comes with your mat. When you're ready to continue the puzzle, unroll the mat carefully. Every piece will be right where you left it. 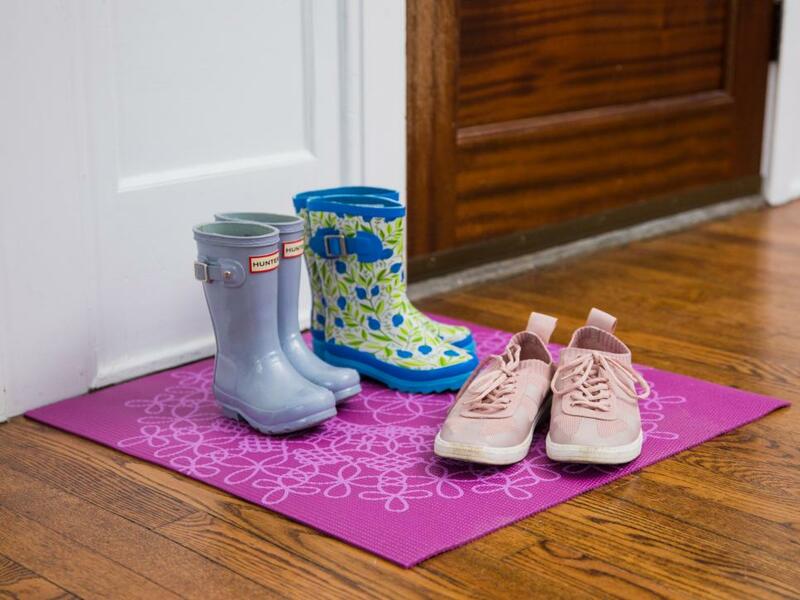 Cut your yoga mat to size, and place right by the door to keep muddy shoes off your floor. Trace the frame backing onto the mat with a marker. Cut it out, and fit in frame. Replace the backing on the frame. Use thumbtacks to attach photos, cards and memos. This project works best with thicker mats. 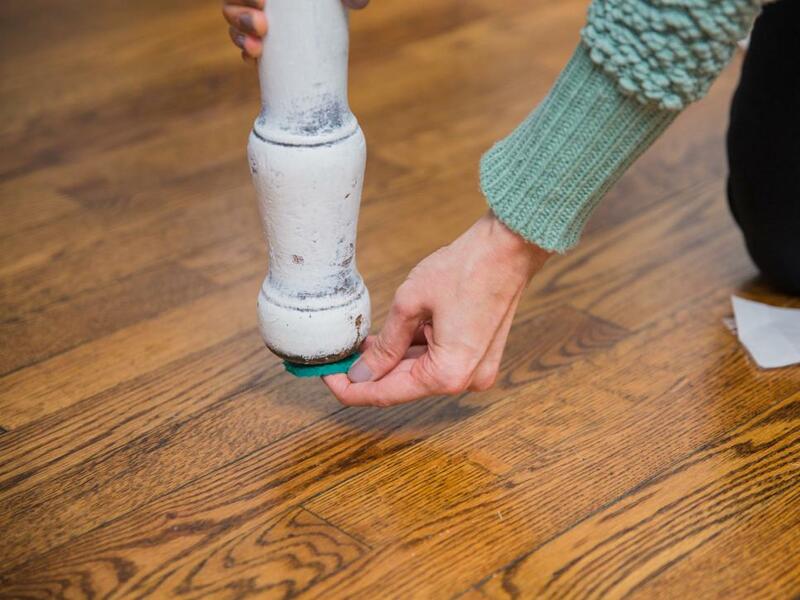 Cut small circles from your yoga mat, put adhesive dots on the circles and attach to furniture legs to keep them from sliding and scratching hardwood floors. 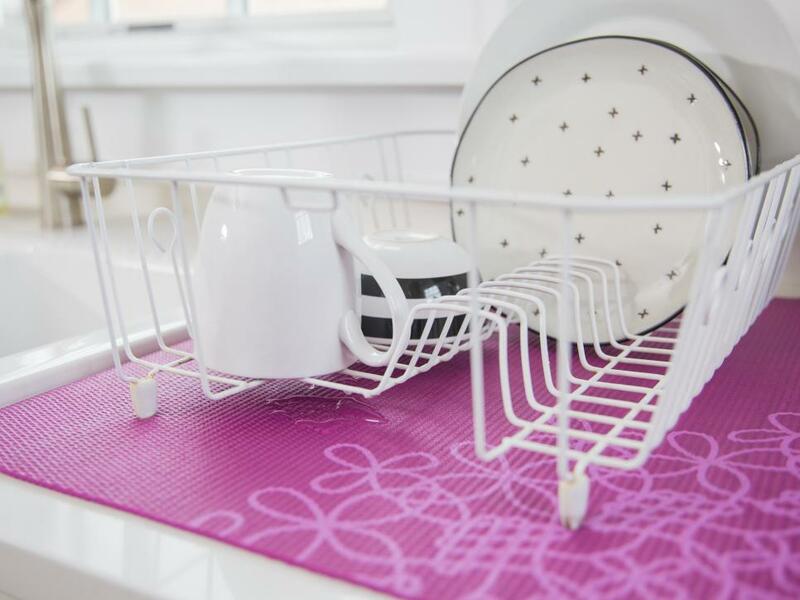 Store-bought drying rack pads get moldy easily. Cut your mat to size, and place underneath the rack. The mat material prevents it from getting moldy as quickly. Place the mat in the washer every couple weeks.